We're delighted to present our latest holiday gift guide for some last minute shopping. Given our love of textiles and all things ceramics, we're proud to the present the gift picks from amazing artists working in these areas: Ana Lisa Hedstrom, Andrew Kennedy and Magda Dejose of Sculpture Space NYC. 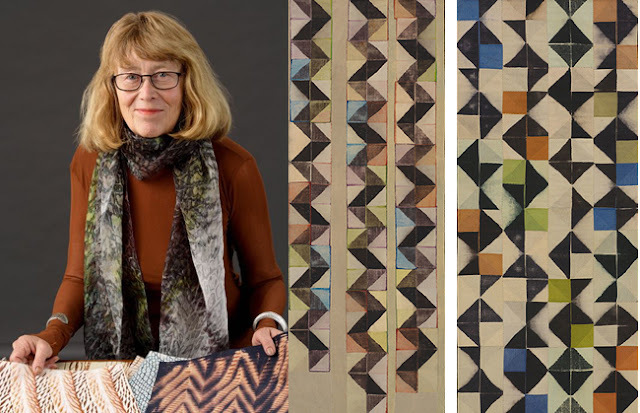 We love to showcase beautiful textiles from international as well as local artisans in Vuela Boutique, so we couldn't be more excited to feature the renowned textile artist and educator, Ana Lisa Hedstrom. 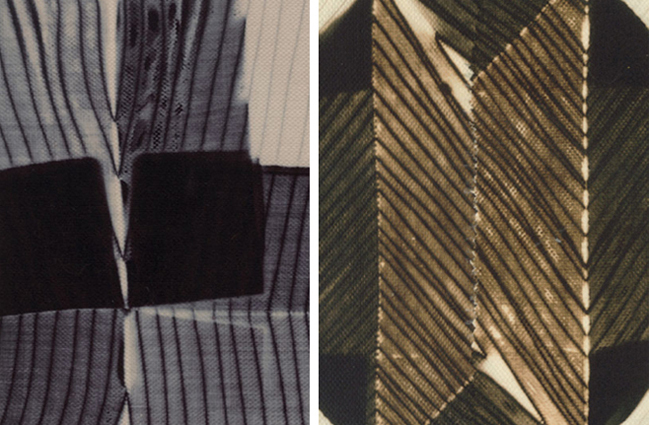 Based in Northern Cal, she has made amazing contributions to the field of contemporary shibori textiles. Featuring her innovative use of colors and patterns, Ana Lisa’s signature shibori textiles are included in the collections of the Cooper Hewitt, The Museum of Art and Design, the De Young Museum, the Oakland Museum, and the Racine Museum. Her work has been exhibited and published inter-nationally along with receiving two NES grants and is a fellow of The American Craft Council. She has completed public art commissions for the Emeryville Ca. city hall and the American Embassy in Brunei. She is committed to education in her craft, as she has taught and lectured at SF State University , CCA , and numerous international conferences and summer art programs. 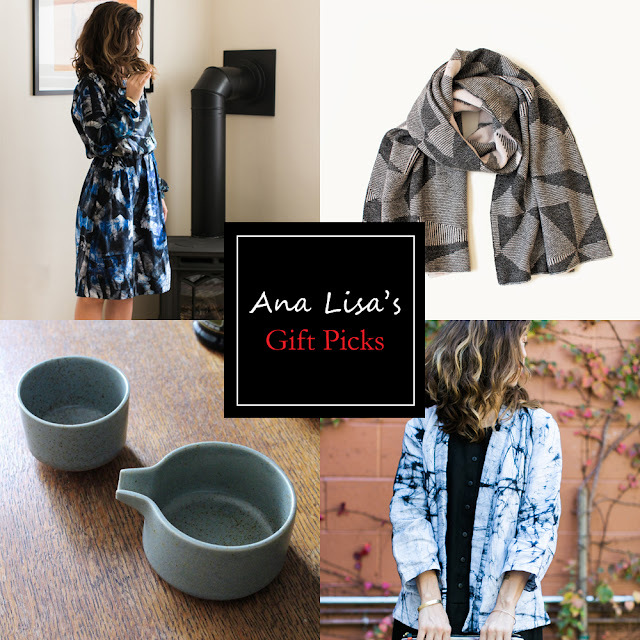 Ana Lisa's picks feature her love of fabric and graphic patterns as well as her background in ceramics. 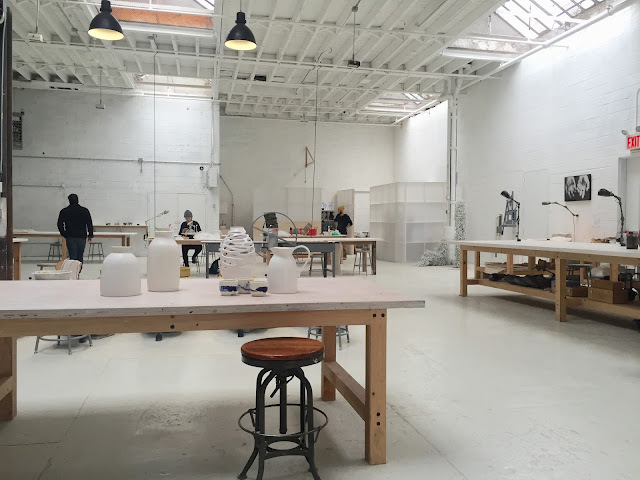 I had the pleasure of visiting Romy's studio located in Sculpture Space NYC this fall. We have such a weakness for ceramics and thrilled to feature the founders of this wonderful space in New York. Since 2011 Andrew Kennedy and Magda Dejose have worked collaboratively on a variety of projects and founded Sculpture Space NYC in 2014. The facility is a ceramics and sculpture center designed to foster creativity, concept and collaboration for artists and designers. Sculpture Space NYC was designed and built by Andrew Kennedy. He studied painting at The Cooper Union for the Advancement of Science and Art, worked as an assistant at Richard Artschwager Studio and has been showing his work in New York and abroad. Magda Dejose is an American artist (born in Brazil) living and working in New York City. She has shown her artwork in Japan, Brazil, USA, Canada, Mexico, Portugal, and China. 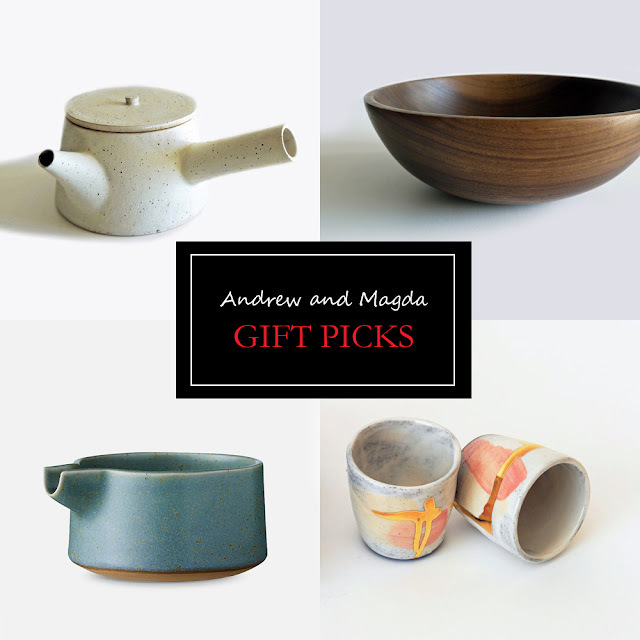 Andrew and Magda's have curated gift ideas highlighting the range of home wares we offer from ceramics to wooden objects. Scuplture Space NYC provides space, equipment, advanced education, and opportunities for studio members to expand and develop their work. SSNYC's aesthetic is based on the principle that any element in the studio, as furniture, objects, and room’s layout, should be primarily based upon its intended function or purpose. 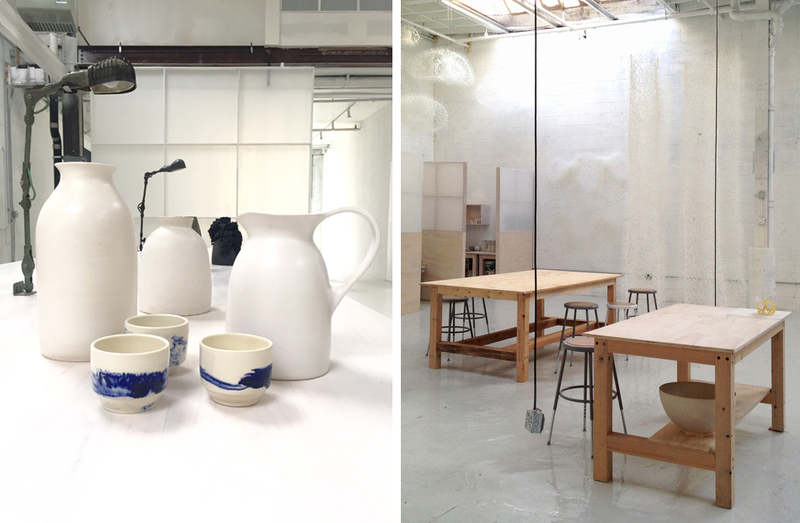 Photos of textiles and studio space courtesy of artists. Thank you so much Ana Lisa, Andrew and Magda for participating in our holiday gift guide! We're happy and humbled to share your stories of passion and contribution to your craft and the community. And of course, we really appreciate your help in curating gifts from our shop this holiday season!